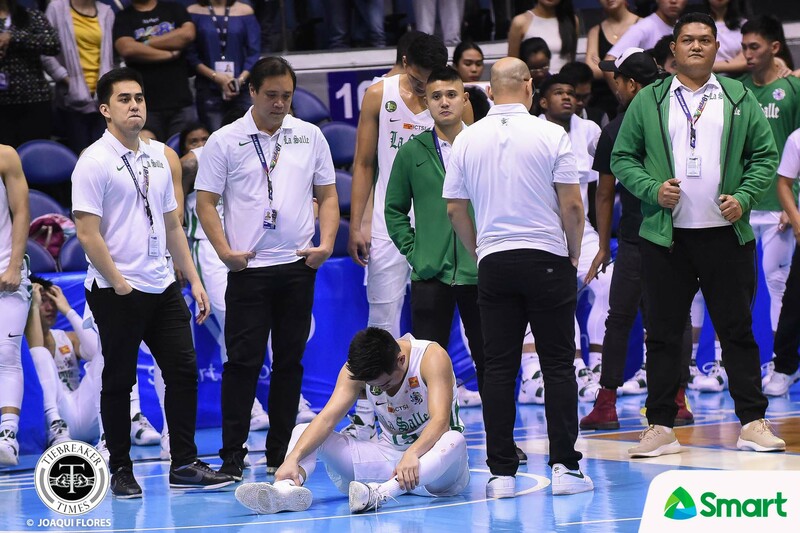 When Kib Montalbo walked into the Smart Araneta Coliseum’s media room with teammate Santi Santillan, after what was his final outing for the De La Salle Green Archers, his jersey was bloodied. 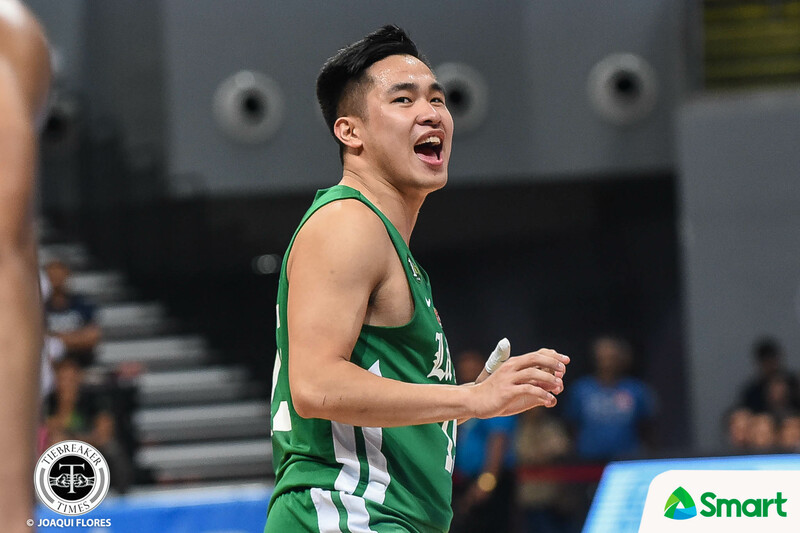 La Salle needed to overcome the Far Eastern University Tamaraws to enter the UAAP Season 81 Final Four, but Arvin Tolentino sank a clutch three to eliminate the Green Archers and sign the death sentence for Montalbo’s collegiate career. “Breaks of the game. We’re down then we’re up. Either team could probably win that game pero… ganun eh, basketball eh. You win some, you lose some. 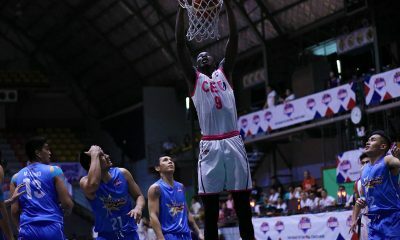 You just gotta learn from it and yeah,” said the player christened Man of Steal because of his efforts on defense. It was a painful ending for Montalbo, and he leaves the UAAP and the Green Archers with two gold medals and a silver finish under his belt. If it were up to him, tonight wouldn’t be his last game, but someone has to lose – and it was the Green Archers’ turn to suffer defeat. “I was just a boy who dreamed of playing with drums, yun lang. “Back in Bacolod, sabi ko gusto pumunta ng Maynila para maglaro kasi may drums dito. Bacolod wala eh, walang crowd eh. I didn’t expect that I will be a captain of La Salle and to lead the team. I never expected that in my wildest dreams,” said the St. John Institute alumnus. Montalbo contributed seven points and two rebounds alongside an assist and a steal – but it was his actions to push his teammates fight for every loose ball and energize the La Salle crowd that caught everyone’s eye. 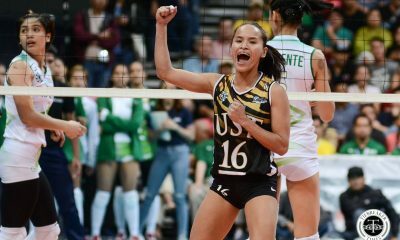 As in all cases when UAAP athletes end their collegiate run, they – and those with them – shed tears in either triumph or agony. Not everyone can leave on a high note, and Montalbo was consoled by friend and opponent alike on the court. But when he stopped singing La Salle’s Alma Mater Hymm, he and Santillan faced their gallery to rapturous applause. “Gulat ako sa crowd kanina eh. Hindi naman puno but I can hear them roar. I’m thankful for the Lasallian community kasi grabe yung suporta nila sa amin eh. Akala ko aalis na sila nung nag-thank you kami pero they stood there and they thanked us,” he admitted. Now that his run with the Green and White is over, Montalbo shared that he plans to finish his bachelor’s degree and apply for the PBA D-League draft. Aside from his medals, though, he’ll have another souvenir from his five campaigns.